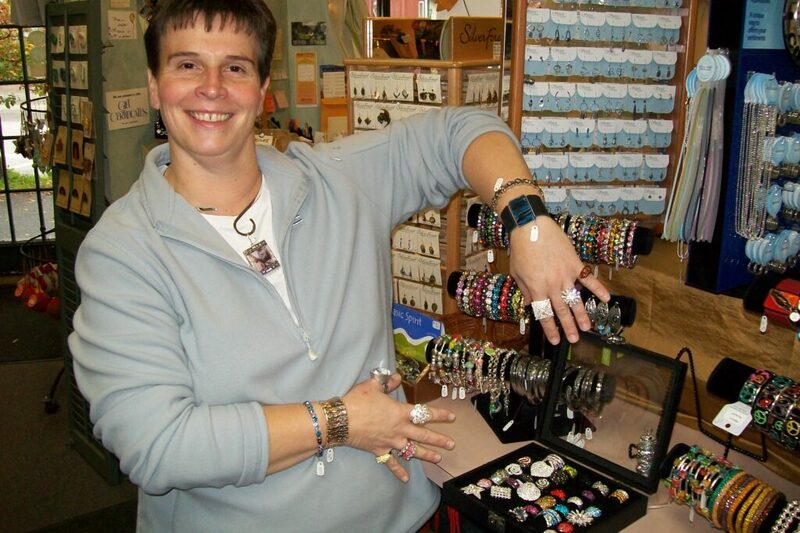 Carr’s Gifts, (formerly Carr’s Florist & Gifts)located in the heart of charming downtown Brandon, is a shop in which you’ll enjoy spending some time! For over 40 years we’ve provided Brandon with an eclectic gift line of home decorating items. Lamps, stemware, table linens, candles, unique toys, a large variety of greeting card lines, folk art figurines and wall hangings, along with Warren Kimble artwork in a variety of incarnations including framed prints. Vermont made Beautiful lines of jewelry, including earrings from Silver Forest, made in Bellows Falls and Baked Beads from Norwich!! Necklaces, rings, baubles and bangles to peruse, fragrant lotions and perfumes to savor, elegant soft throws to caress and, of course, Lake Champlain chocolates to titillate your taste buds.